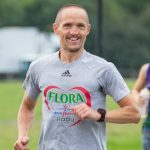 This is a list of members of Tyne Bridge Harriers who participated at a parkrun on 2018-09-01. Former members no longer registered with EA will be removed from the results. A total of 588 runners took part. A total of 22 runners took part. A total of 465 runners took part. A total of 27 runners took part. Thanks to all the wonderful parkrun volunteers and to the event sponsors. And thanks to MaggieD for the cover photograph. Go Jamie! Is that a hiccup in the times given for Blackhill?? Unfortunately, there was a malfunction with a piece of equipment at Blackhill parkrun so everyone was given the same finishing time. On the day I set a PB too! Bleeding typical haha! !